IMPAKT! focuses on drastic improvement of the water quality. The VMM is responsible, among other things, for monitoring overflows and is developing a water quality model. Rainy periods cause contaminated sewage to overflow into the waterways of the Dommel and Warmbeek/Tongelreep. This has harmful effect s on the water quality resulting in severe contamination of the local fauna and flora. IMPAKT! is seeking innovative and affordable solutions for improving the water quality. IMPAKT! 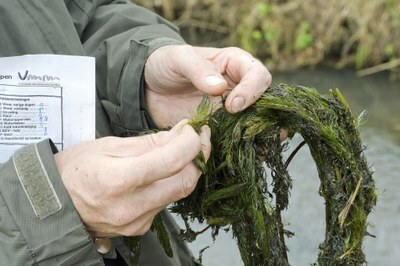 focuses on hydrobiological research into fish, fauna and aquatic plants. There will also be a refuge for fish during overflow periods. The project will also set up monitoring campaigns and virtual sewer models to gain an insight into the different overflows, discharge points, and water quality. IMPAKT! stands for 'Integraal MaatregelenPakket AfvalwaterKeten voor goede ecologische Toestand' (Total Package of Measures for good ecological Status of the Wastewater Chain). 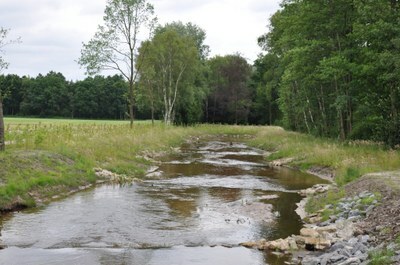 The project intends to improve the water quality in th e adjoining watercourses in the Limburg Campine region and South-East Brabant. This will enable sustainable stocks such as the European brook lamprey, European river lamprey, floating water plantain, etc. to return to the watercourses. Furthermore, a package of measures is being compiled to reduce the impact of discharges on the wastewater chain. Finally, the IMPAKT! project serves as a blueprint for nature restoration in watercourses of other sub-basins in Flanders and the Netherlands. IMPAKT! fits in with the European Water Framework Directive and the European network of nature protection areas, Natura 2000. The project is funded by Interreg Flanders-Netherlands, a European programme that addresses issues in the border area between Belgium and the Netherlands and promotes cross-border cooperation. VMM contributes to the international policymaking and the implementation of environmental obligations. Combat climate change? Build with nature!